The 4th of July is America's Independence day and on this day in 1776 the Continental Congress adopted the Declaration of Independence which declared that the thirteen American colonies regard themselves as a new nation, the United States of America and that they were no longer ruled by the British Empire. To mark this great day history we offering 50% OFF monthly and annual membership use Coupon Code : 1916FB See below for FREE Front pages downloads for JFK / NIXON / REAGAN AND BARACK OBAMA'S Irish tours. 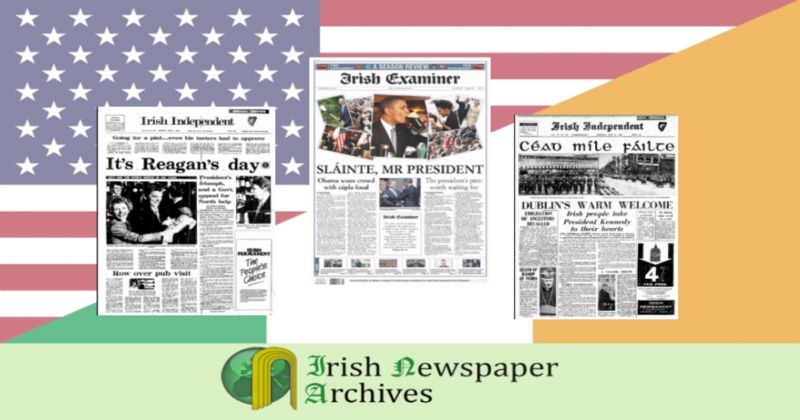 Posted in Fact of the week	and tagged with 50% off Irish news archive, Independence day, American independence, July Fourth Holiday, JULY 04 2016, FOURTH OF JULY	by Andrew Martin.